Good!!. I don’t know this app… and is good for get the gmail contacts groups for some mail-readers that don’t have access to its. For me is soo useful for claws-mail. 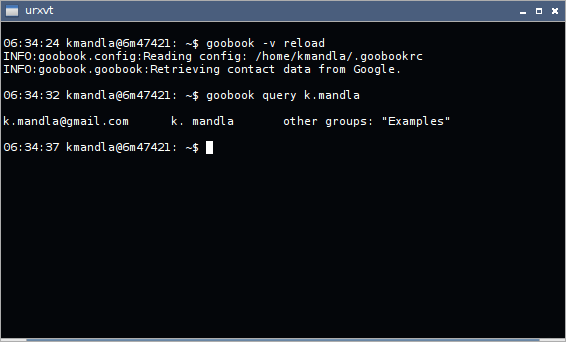 The claws GData plugin (http://www.claws-mail.org/plugins.php) have only functionality for include Google Contacts in the Tab-address completion, but this not include the contacts group info… With goobook and a bit of Xdialog script, we can get some of this feature back !!. Many thanks!!! !